Waves surged over Mer’s head. 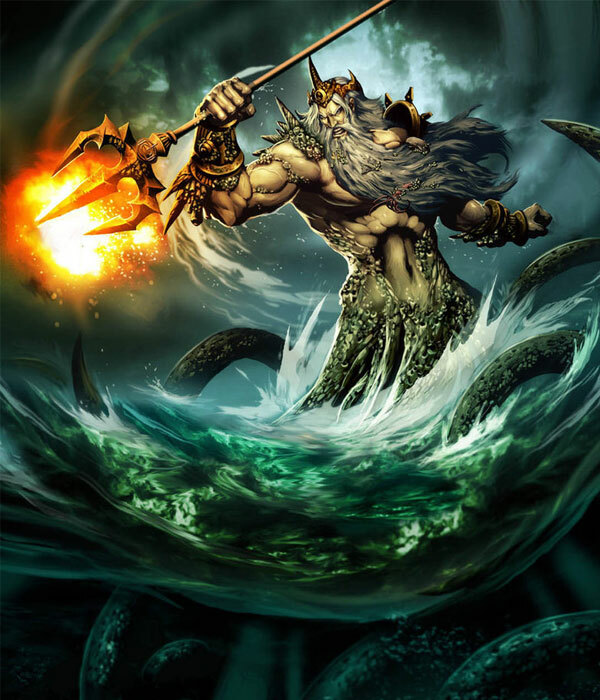 The sea god’s wrath raged fierce and powerful. She spat a mouthful of brine and dived down, attempting to move below the surge. Another swell grasped her, dragging her toward the surface. A strange current refused her entrance to her ocean home. A jagged lightning bolt ripped across the blackened sky. It blinded Mer and she blinked back spots before her eyes. She was rising higher and higher. The wave crested and dropped below her. She gasped as she hung in the air before plummeting like a boulder into the cement-like water. Pain radiated from her body. Fear gripped her throat and she tightened her fingers around the pearl necklace. Her theft started this roaring tempest, yet she still was reluctant to release her prize. Her world tumbled around her, and she angled her tail to stop it. The mermaid thought she would lose her kelp dinner, if this kept up. She slowed and broke through the surface once more. “Mine.” His voice carried within a thunderclap, and she shuddered, her ears ringing from the sound. The ocean receded around her, as if a thirsty whale satiated itself with it. She twisted and gasped at the tsunami lifting to greet her. Mer had nowhere to outrun the monster. Water crashed into her like a battleship. She swirled and twisted amongst the foam. Her body scrunched up, attempting to be smaller. A plastic bag tangled in her hair. Her arms scraped against coral. Her mind screamed when she could not. Over, under. Around and around. She didn’t move, could barely breathe as the ocean tugged on her. The necklace yanked from her fingers. Magic burned along her magnificent tail, splitting it down the middle. She cried out in grief, anger as air rushed into lungs instead of gills. Soft rain tickled her bruised flesh. Waves gently lapped on her feet where her tailfin once was. The sky grew lighter, a paler gray with a glimmer of blue peeking from the clouds. “Mine.” The sea god whispered in a final thunder rumble. Sun burned her sensitive flesh. She curled upon the hot, dry sand. A whimper pushed from her lips, causing tears to squeeze from her tightly closed eyelids. Why wouldn’t she die upon this sandy beach? She craved death like a fish craves water, and she did need water too. Even the waves wouldn’t reach her newly formed toes. Something poked her shoulder. It felt hard, remind her of driftwood. She became aware of others around her, and she held a breath in her new lungs. Fear closed in on her like a net, ensnaring her from moving or escaping its clutches. “Is she alive?” A voice questioned, dry, soft, and older woman’s tone. “I don’t know. Maybe.” Younger, masculine, strong. She felt him kneel beside her. His energy radiated towards her like sea lava. It burned as much as the sand. His hand grasped her shoulders, turning her over. She moaned and fluttered her eyelids. Arms dug under the sand beneath her, lifting her in the air. She wanted to see who her savior was, but sand particles crusted her lids together, preventing her from opening them more than a tiny bit. When they lay her down, something soft cushioned her. Gentle water trickled over her face, dribbled into her mouth. It was surprisingly sweet. She opened her eyes, taking a few moments before she could see in the shaded light. An older woman with hair whiter than a seashell crouched over her and dabbed the water upon her skin. Wrinkles crinkled around her blue eyes. She reminded her of her father’s grandmother. The man loomed beside her. Golden hair flowed to his shoulders. His skin gleamed like the sun-kissed sand she previously rested upon. She noticed his honey-colored eyes. He seemed familiar to someone she once knew. Her mind wouldn’t give up the name, though. The sea god, the necklace, and the tempest memories slammed into her, and she gasped for breath as she sat up. “Who are you? Where am I?” She scooted away from them, wondering if they were truly friend or foe. Mer pulled her legs away. Legs, such strange things. She’d seen them from sailors lost at sea, but she didn’t like them one bit. “My father knows where I am, since he put him here. I’m afraid I’m not as lost as you think. What did you do to piss him off?” He crossed his arms. “And your name, dear,” the old woman asked. Forever. The word struck her in the heart like a harpoon. Tingles flowed over her skin and tears pricked her eyes. She pulled herself up by a palm tree. Her legs shook, barely able to keep herself standing. The ocean waves splashed against the beach, although she couldn’t see it from the foliage. She ached for the water. “I’m sorry, Mer. It’s not easy, but it gets better.” Kale reached toward her, but she dodged his arm. Her feet tumbled her forward as she staggered through the plants to the beach. The sun was lower on the horizon. More gentle on her skin and eyes than before. She collapsed into the water. Her legs and arms moved awkwardly like a fish on dry land. She pushed herself farther in. The ocean welcomed her, dragging her into its warm, wet embrace. She heard their cries, but then she dunked her head into the sea. The salt stung her eyes. Air left her lungs. She sucked in water. Freedom drained from her with each lap of water. She was drowning, dying. She’d never be a mermaid again. A wave lifted her, tossing her away from it. Hands grasped her. Her head broke the waves, and she coughed up water. Sand greeted her, and she looked up into Kale’s eyes. She smiled weakly before she turned her head to the side and threw up more ocean water. The sand felt nice this time. Cooler, gentler. She didn’t want to die by the sea’s hand. She wanted to live, but could she live like a human? She didn’t know. The sea god had banished and deserted them to this island. Love mermaid stories, especially your with such vivid descriptions. I can't wait to read what happens next!